It's been a while, gang. My apologies for neglecting Gems all these weeks, but I been preoccupied with trying to make a living. I've never been very good at it, despite devoting more time than I'd care to admit to it. Modest success is all I can claim, but who wants to be Bill Gates, anyway? Don't answer that question. Here's a gent who was successful. Not on Mr. Gates' scale, of course, but he did manage to become one of the leading practitioners of modern jazz on his instrument at a time when just about nobody was playing modern jazz on his instrument. 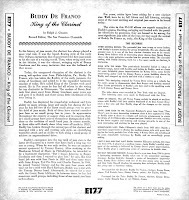 Boniface "Buddy" De Franco was a clarinet player when nearly all the other licorice stick men were wearing straw boaters and had garters on their striped shirtsleeves. He started out playing swing but then heard Bird and Diz's message and became a bopper. He just forgot to switch to alto. 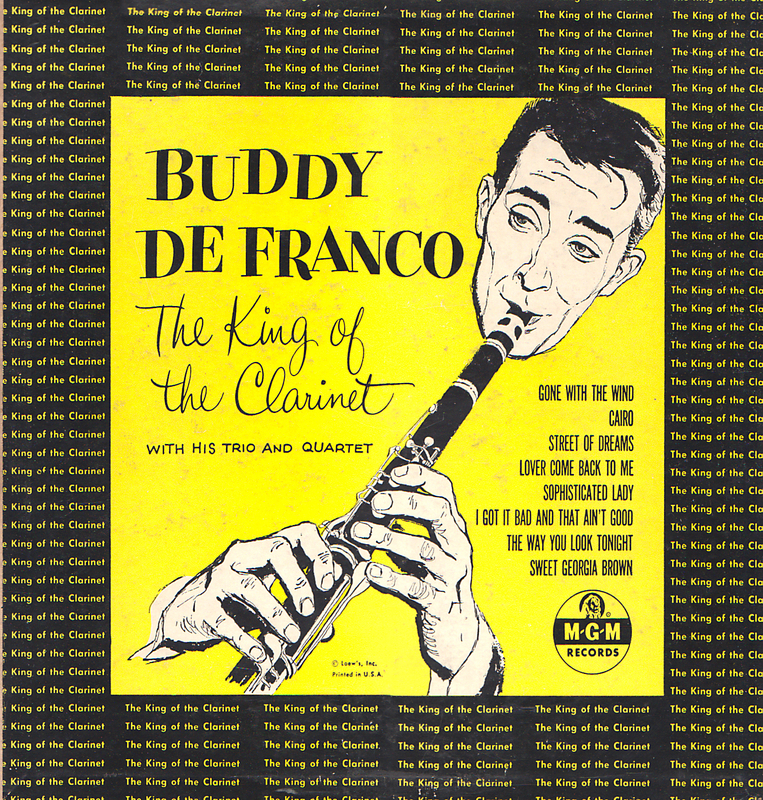 You can always hear Buddy's swing roots in his modern playing – or, at least, I think I can – but he also had the chops requisite for the newer style. 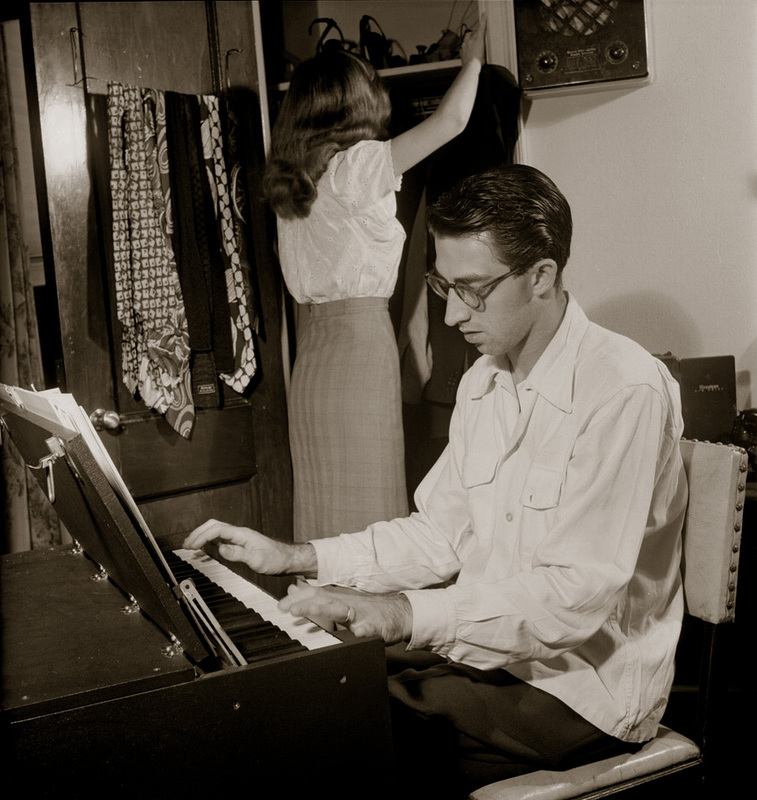 He was one of the Metronome All-Stars in 1949, cutting a session for Victor with Parker, Miles, Fats Navarro, Tristano and a bevy of other jazz giants. He also hired a future hard-bop star named Sonny Clark as his pianist in the mid-'50s and made some very fine recordings with him. In the '60s, he worked with Tommy Gumina, himself a devotee to a decidedly unhip instrument – the accordion. So, here's a delightful disc I picked up not too long ago that I thought you Gems fans might enjoy. 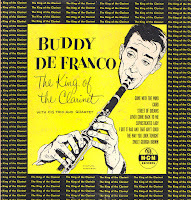 It's Buddy De Franco in quartet and trio settings, recording early in his career for MGM. His pianist for these sessions is Kenny Drew, Bird's keyboard man from a few years earlier. Jimmy Raney shines on guitar and the King of Hard-bop, Art Blakey, shows up on a few cuts, too. Kenny contributes an original – the exotic sounding "Cairo" – and the rest of the fare consists of standards. All in all, a very satisfying collection of tunes. As always, these files are ripped from the original, 63-year-old vinyl with no cleaning necessary (there's just a hint here and there of surface noise). If you want something to last forever, make it out of vinyl! 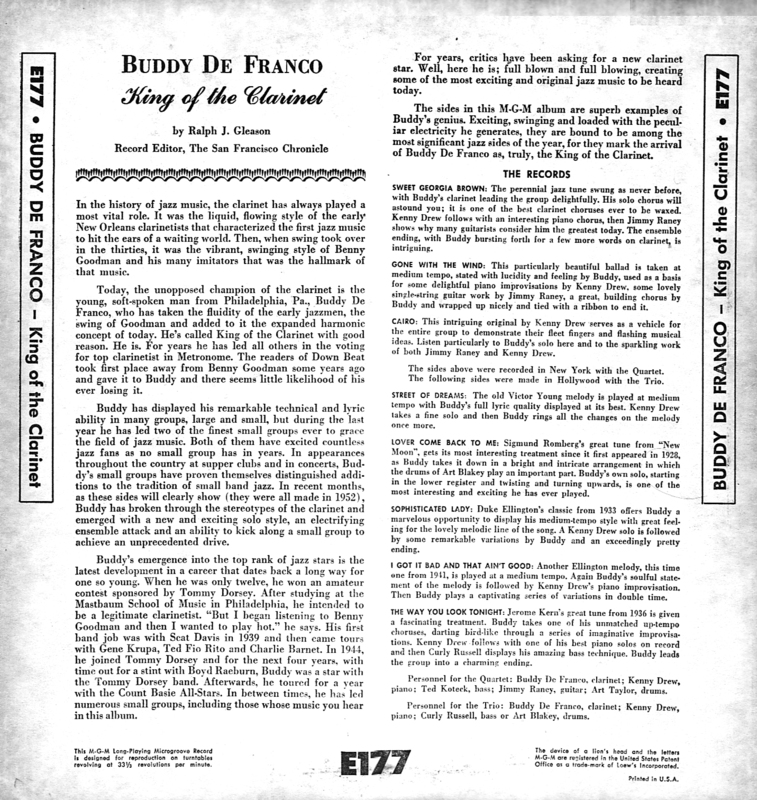 De Franco, cl; Kenny Drew, p; Teddy Kotick, b; Art Taylor, d.
De Franco, cl; Kenny Drew, p; Curly Russell, b, or Art Blakey, d.